Turkey, Stuffing, Green Bean Casserole, And Mangos? As I write this week’s edition, I’m cruising through the Panama Canal and around the Caribbean Sea. I’ve been dining on exotic, sumptuous delicacies while watching the Pacific Ocean, the canal, and several tropical islands pass by my ship. I’ll also be celebrating Thanksgiving at sea this week. Since moving overseas, this holiday is no longer about a big family meal. Instead, Thanksgiving is a time for reflecting on life’s blessings and appreciating those who share my days. For many people, it’s also a time to look ahead to provide for future generations. You probably know that cruises offer a wide variety of food options all day long and it can be challenging to find healthy options, so my goal is to enjoy as many fresh, tropical fruits as I can find. My all-time favorite treat is mango. Did you know that mangos are considered one of the most consumed fruit on the planet? By the year 2020, total mango sales are expected to reach US$1.4 million. This is a 15% increase from 2015. North Americans love mangos. The volume of mangos imported to the United States swelled from 62 million boxes in 2005 to 109 million boxes in 2016. In Europe, only 10,000 tons of mangos were imported in 1999, jumping to 230,000 tons in 2008. Because we’ve talked about agricultural investments in prior Overseas Property Alert dispatches… here’s a breakdown of why a brand-new opportunity—Fruit Punch mangos—deserves your attention. In the last 30 years, tillable farmland has appreciated by 3.5% each year. Unlike stocks and even residential properties, agriculture is proven to withstand economic uncertainty, survive market booms and busts, and provide a stable place to store wealth. With the world’s growing population, we need more food constantly. The high demand for unique food products, like mangos, translates into impressive income potential. Studies have shown that organic farms are 35% more profitable than average commodity farms. Also, investing in agricultural opportunities diversifies your portfolio with full title ownership in foreign lands. With a turnkey, hands-off project where the land and crops are managed by experts, it couldn’t be easier. Lastly, and perhaps most importantly, agricultural investments can be passed down to future generations… making this a legacy opportunity that’ll produce income for decades to come. Most Latin American countries are still developing, so owning productive land in these locations is an unexploited opportunity. Many Central and South American countries possess productive soils, abundant freshwater sources, and an ideal growing climate that allows for year-round growing, planting, and harvesting seasons. Generally, Latin America has a more immature agribusiness culture than North America and Europe—you can literally get in on the ground floor. This particular project, however, is run by expert developers and growers… so, although the overall culture is young, this team has generations of experience and a proven track record. 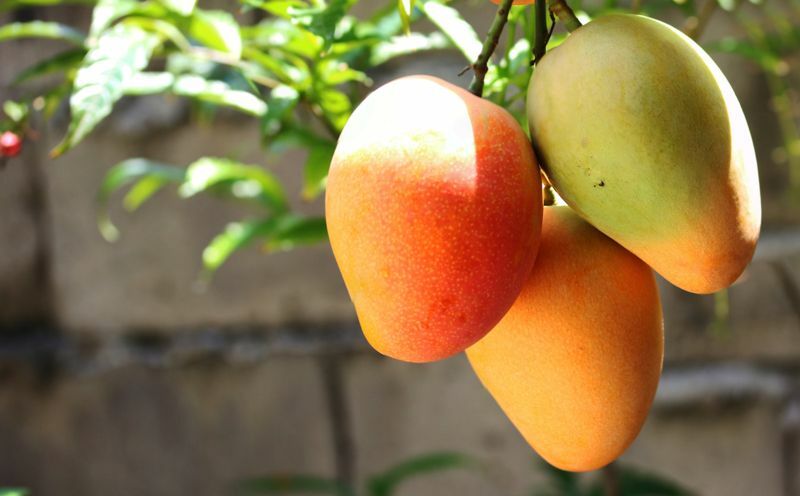 First, mangos are in such high demand, selling the final product won’t be a problem… so refreshing and aromatic, people nicknamed mangos “the peach of the tropics.” These mango trees produce consistent, high-quality fruit yields for both the health and natural food industries. Also, mango trees average 60 to 80 (or more) years of production, which all adds up to successful and dependable crops. Why Invest In The Fruit Punch Mango? This is a premium, organic-certified crop. After years of research and development aided by expert grafting techniques, this developer has produced the most flavorful variety of mango: the Fruit Punch mango. The flavor is tangy yet sweet, with a touch of honey. Panama’s humid, tropical weather, world-class freshwater reserves, and rich soil provide the perfect growing conditions for Fruit Punch mangos. Once planted, these trees will start producing viable fruit in only four years. Farmland is attractive here because it is unaffected by natural disasters such as hurricanes and earthquakes. Amazingly, only 4% of Panama’s farmable land is in production—now is the time to invest in this growing economy. Panama also offers geographic, economic, and environmental advantages as one of the prime investment markets in Latin America’s emerging marketplace. The agriculture industry is underdeveloped because Panama has been focused instead on finance, transportation logistics, tourism, and other services. Why Invest In This Opportunity? Beyond the worldwide market for mangos and the perfect location and growing conditions, the expert companies behind the scenes are the final piece in this puzzle. The farm developer and advisor who handles the day-to-day operations has a long history of specializing in organic and eco-friendly soil solutions. They use fewer chemical fertilizers, pesticides, and fungicides while still replenishing the soil with important nutrients. They also employ intercropping to maximize the land’s potential and provide the highest profit margin available. This science is called permaculture, where agricultural farming practices align with the laws of nature to increase resilience and sustainability. In simple terms, farmers build a rich topsoil, which attracts beneficial insects, and efficiently use water and fertilizer to increase farming productivity and overall land yields. Using a 70/30 split of profits (after the annual crop-care fee of approximately US$5,000), you receive 70% of profits from your land while the farm team keeps 30%. This way, you both have the same end goal, realizing the highest profits possible, and the farm team maintains skin in the game. Experience and a proven track record are extremely important. This developer boasts four generations of farming experience and knowledge, with facilities for processing, packing, cold storage, ripening, and distribution in Europe, the United States, Mexico, Central America, and South America. The entire system is already in place and producing. This translates into low risks with high profit potential. Low initial investment required—one hectare of trees costs US$39,000. No currency exchange risks for U.S. citizens because Panama’s balboa is pegged to the U.S. dollar. The first three years’ ROI is zero because the crop needs to grow. Year four ROI = 12.6%. Years five, six, and seven ROI = 24%. Year eight ROI = 32.4% and goes up from there. Expect high overall IRR with decades of productivity and profitability. The year four net profit will be approximately US$4,920 for each hectare. In year six, net income is as high as US$9,391, and in year eight it reaches US$12,639 per hectare. Two main organic produce wholesalers in the United States (one from the West Coast and one from the East Coast) visit the current plantations at least once a year to monitor progress. They’ve made it clear that they want to buy everything this group is producing. Because mango trees can bear fruit for 80 years or more, this is a legacy investment that can be passed to future generations. This project looks beyond simple profit farming. The science of permaculture focuses on more than the current crop. It protects the sustainability of the Earth and benefits generations to come. This Thanksgiving take some time to consider the many ways you can provide for your family for the coming decades… agricultural investment is one of the most secure, stable, productive and environmentally responsible ways to earn a tidy profit now and provide for the future—all at a low initial investment.